An exciting opportunity to purchase this impressive four bedroom home, one of just five stunning new homes in this historic, converted former maltings. Showcasing a range of original features and finished to a high specification throughout by prestigious local developer, Crockford Builders of St James. An exciting opportunity to purchase this impressive five bedroom home, one of just five stunning new homes in this historic, converted former maltings. Showcasing a range of original features and finished to a high specification throughout by prestigious local developer, Crockford Builders of St James. 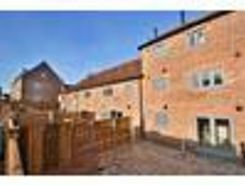 Constructed just four years ago by Persimmon Homes and located in this popular new development a short walk from the town centre, this two double bedroom property boasts a larger than average rear garden as well as attached single garage and off road parking. Nearby The property is conveniently located within walking distance of the bustling market town of Harleston, filled with historic buildings, a chapel, range of independent shops, pubs, coffee shops and restaurants along with schooling for all ages . Property website TheHouseShop have used their expert knowledge of the Harleston in Suffolk property market to help buyers, sellers, tenants and landlords save money when advertising and searching for property available online. Property marketplace, TheHouseShop.com, showcases property listings from private landlords, private sellers, high street agents, online agents and developers – meaning that tenants and buyers can find a unique selection of property from both professionals and homeowners. Sellers using TheHouseShop can choose to advertise their property themselves, or compare local and online-only agents to help sell their property for them. Homeowners in Harleston in Suffolk can use TheHouseShop.com to advertise their property to thousands of buyers for free – saving thousands of pounds in the process. Selling property online is popular in Harleston in Suffolk and private house sales are a great option for many Harleston in Suffolk homeowners. TheHouseShop can arrange a free professional property valuation from a local property manager with expert knowledge of the Harleston in Suffolk market – helping you to set the perfect price for your property. Private landlords and sellers can make use of TheHouseShop's marketing options to generate more exposure for their property and quickly find the right buyer or tenant. Homeowners in Harleston in Suffolk can use TheHouseShop.com to find thousands of potential buyers and tenants and connect with them directly to save both time and money. 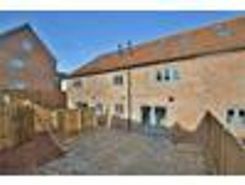 TheHouseShop.com is the best place for homeowners and landlords in Harleston in Suffolk to sell or let property online. 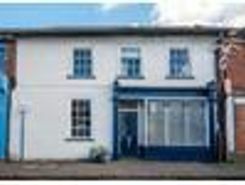 Estate agents in Harleston in Suffolk can also use TheHouseShop to advertise their listings free of charge and reach a new audience of buyers and tenants. 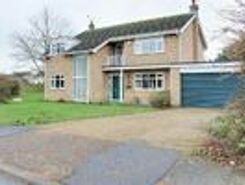 People looking for property in Harleston in Suffolk will find a wide selection of houses, flats, apartments, bungalows and maisonettes for sale on TheHouseShop.com. 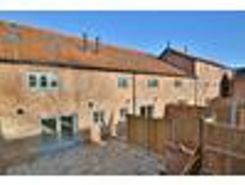 TheHouseShop's unique mix of professional and private listings means that you won't find their Harleston in Suffolk properties on other major property websites. So don't miss out on the home of your dreams and make sure that you visit TheHouseShop.com and sign up for property alerts to keep up to date with the latest new listings. Choosing the best estate agent in Harleston in Suffolk to sell your home is important and TheHouseShop can help homeowners compare Harleston in Suffolk estate agents and make an informed decision on how to sell their home. Each day thousands of buyers visit TheHouseShop looking for property for sale and in Harleston in Suffolk and the surrounding areas. 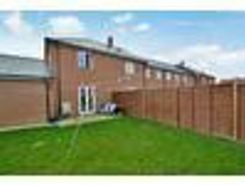 Disabled home hunters can use TheHouseShop.com to search for wheelchair accessible and adapted homes for sale in Harleston in Suffolk and the surrounding areas. TheHouseShop showcases accessible properties and new homes for sale from some of the foremost property developers in Harleston in Suffolk. Home hunters will find a wide selection of cheap homes for sale on TheHouseShop website. Buyers can find cheap houses and new build properties available through Shared Ownership schemes in Harleston in Suffolk. Buyers can get an estimated house price for any property for sale in Harleston in Suffolk by using TheHouseShop's free online valuation tool to find out how much any home is worth. Whether you want to buy, sell, rent or let property in Harleston in Suffolk, TheHouseShop is your one stop shop for all your property needs.